If you need to connect to a serial device over Ethernet you need a Serial to Ethernet converter. Finding the best converter can be a challenge since there are so many different models, types and manufacturers. These 5 steps will help you make the right decision. Management software and Virtual COM drivers should be included, user friendly, reliable and compatible with your operating system. Get a converter with a brand name processor. This is the most important step. The reason why we highly recommend a serial to Ethernet converter with a brand name processor is because these are simply the most reliable. A serial/Ethernet processor is a fairly complex thing and usually only the most experienced manufacturers who specialize in this type of processor can actually deliver a processor design with a selection of features that is stable and works well with a variety of operating systems. Preferred serial driver chip: ZyWyn, Maxim or NI. The serial driver chip is what is actually communicating and providing the power signals for your device connected to the serial to Ethernet converter. We recommend a brand name driver chip from ZyWyn, Maxim or NI because these are very reliable and works well with the serial/Ethernet RDC and ARM processor chips. Management software and Virtual COM drivers should be included, solid and easy to use. The management software which should be included with the converter will let you configure the parameters of the serial port and the converter itself. A user friendly and well written management software will ensure that you easily can setup the converter for a variety of configurations such as Tunneling mode, RAW mode, Direct mode and many other setups. The Virtual COM drivers, which also should be included with the converter, creates the virtual COM port in your computer (you can see it in Device Manager). 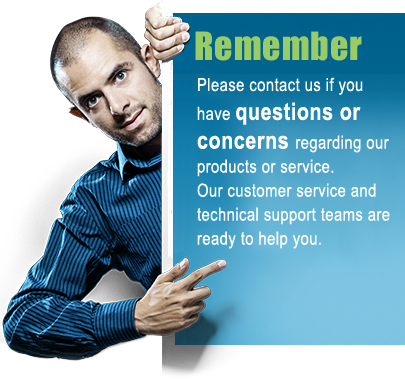 Well written drivers ensures easy and successful creation of the virtual COM port and reliable communication. Before buying a serial to Ethernet converter make sure that both the management software and Virtual COM drivers are compatible with the operating system you use. Build-in static protection to at least 600W. Built-in static protection protects the serial to Ethernet converter against high voltage spikes created either by static electricity or by surges in the supply voltage. This problem can exist both at the serial port and the Ethernet port. Both ports should be protected. LED lights for TX and RX activity. Not required but very nice to have. Being able to actually see when data is transmitted through the converter is a big advantage when troubleshooting. This way its easier to find out where the problem lies; if its your computer, your device connected to the converter or the converter itself. Avoid converters with a low-cost processor chip. These processors simply just create more headache than fun. Poorly written management software and Virtual COM drivers are often incompatible with newer operating systems. Other problems are unreliable communication, limited features and unable to successfully create the virtual COM port. Some nightmare management software can even cause a computer freeze or BSoD. Avoid converters with a low output power (less than 5VDC) at the serial interface. Low output power makes the communication unreliable or even impossible. Here is an overview of all our Serial to Ethernet converters. For further information regarding serial data communication, questions or suggestions please contact us.